is to see the Anglican church in Mozambique & Angola growing and thriving in God’s holistic mission through self-sufficient dioceses. is to support the diverse work of the Anglican church & associated partners in Mozambique & Angola through prayer, fundraising, advocacy & raising awareness. 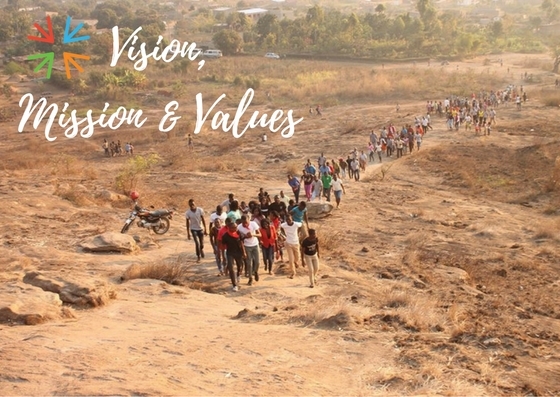 Holistic Transformation: To enable these churches to build Christ-centred transformed communities that fight poverty & injustice through home-grown development projects that, in turn, release the chains of oppression. Hear the Smaller Voices: To better reflect the face of Jesus by seeking to hear the smaller voices of the marginalised, poor, women & elderly in the churches in Mozambique & Angola.